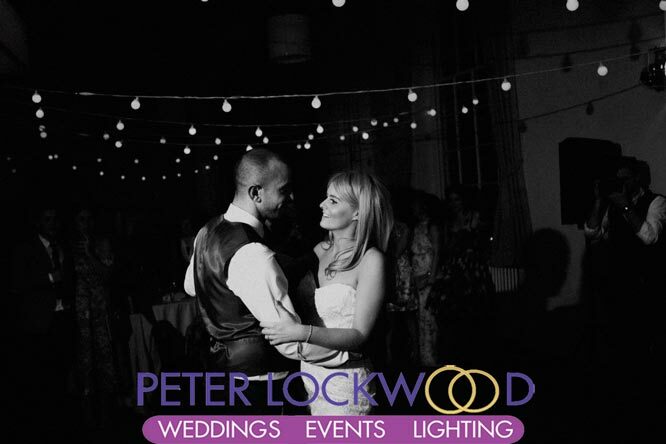 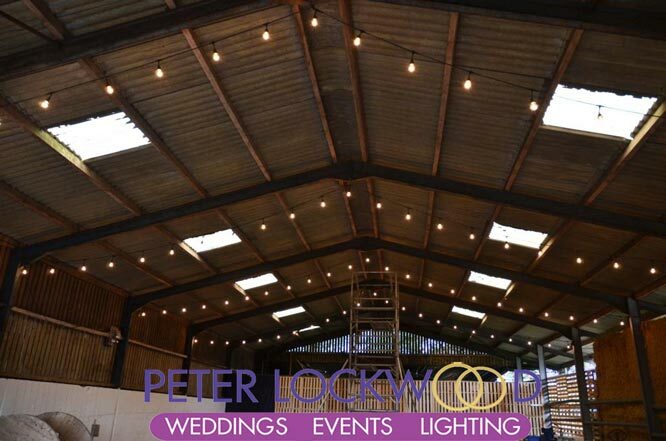 Festoon Lighting is a great way to provide the finishing touches to wedding venues. 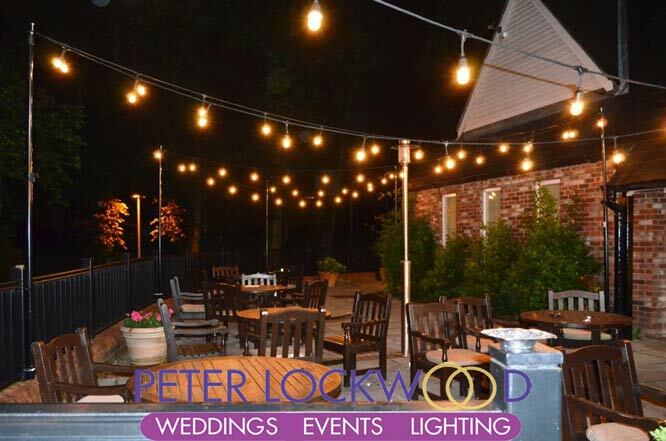 Perfect if you are wanting that festival or rustic look at your event. 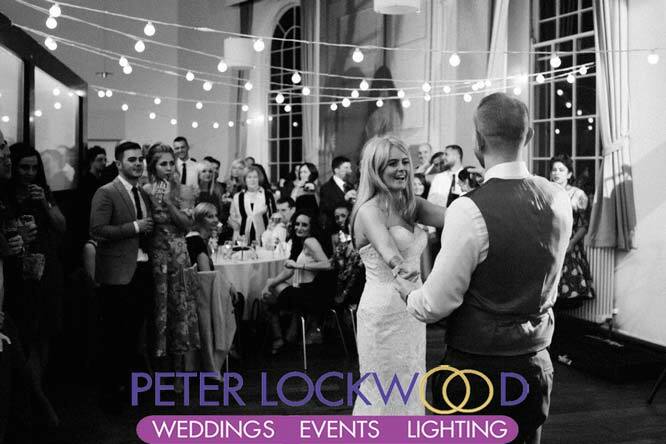 Please note I only provide a fully fitted service. 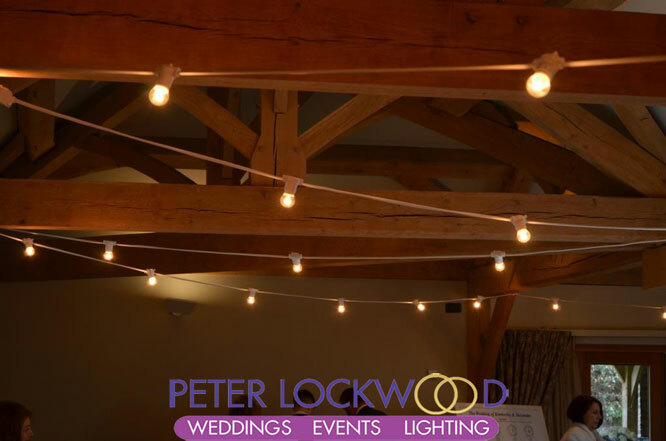 I have two types of Festoon lighting the first is traditional Black or White rubber cable with BC fitments with a lamp spacing of 1/2 or 1 meter. 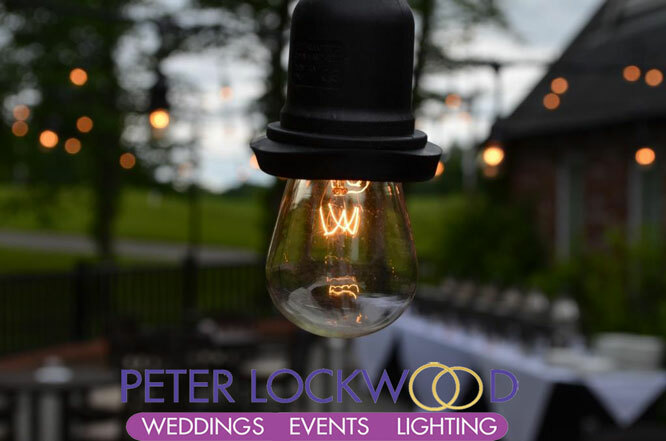 We carry a stock of 15w filament golf ball lamps and 2w warm white led (great if power is a problem of you want a bit more light output. 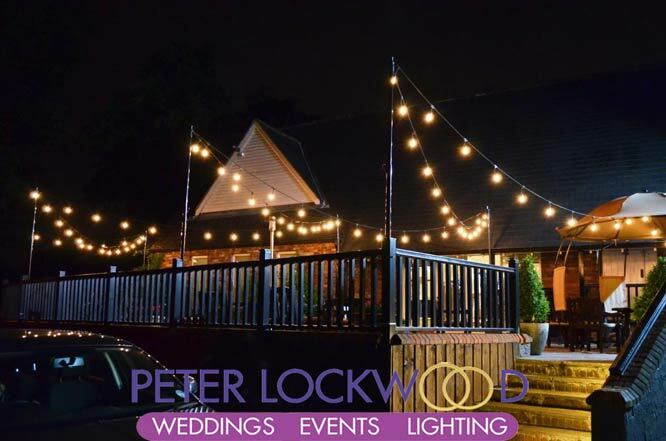 The 3 pictures below are at Worsley Park Marriott on the Terrace. 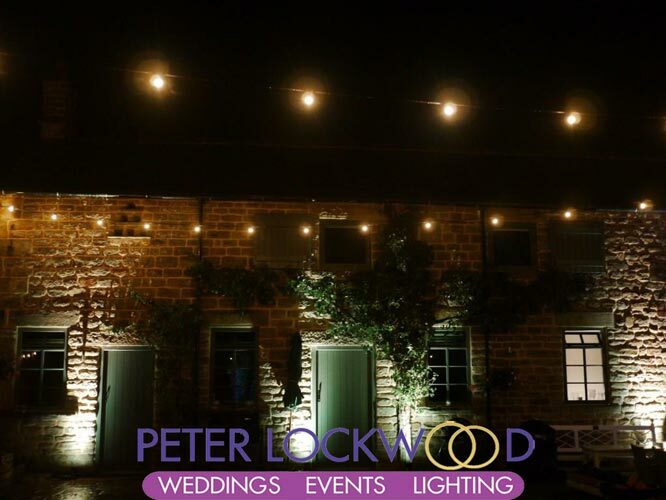 LED Warm White White Cable Festoons are fantastic for any event. 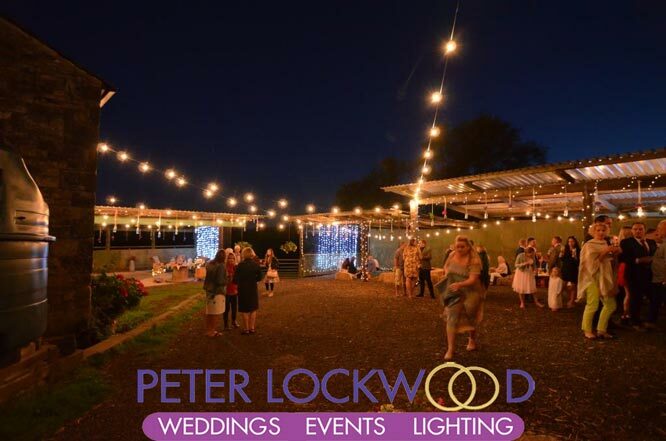 I have 200 meters of warm white led festoon lights in stock available for hire. 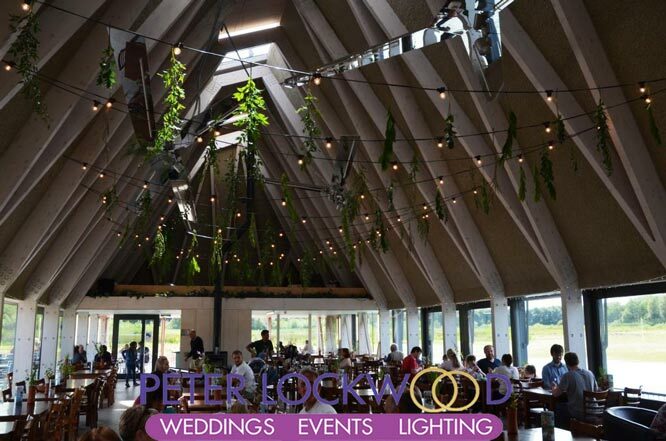 The LED festoons strings are 5 meters in length with a globe spacing of 50cm. 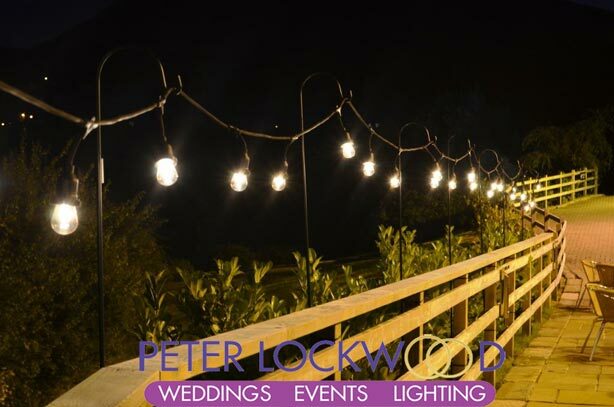 This makes them very flexible in lighting venues or outside areas. 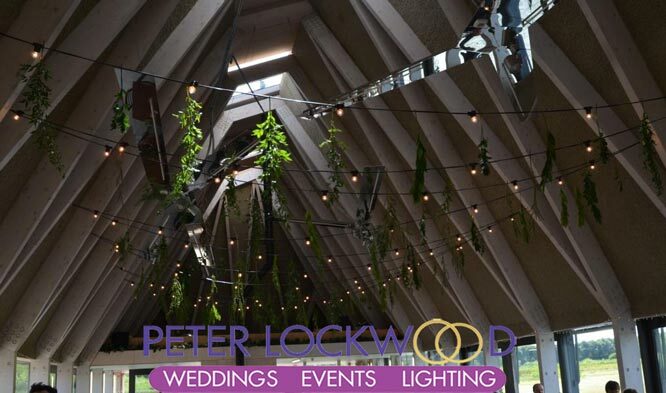 Up to 150 meters can be ran of a single plug. 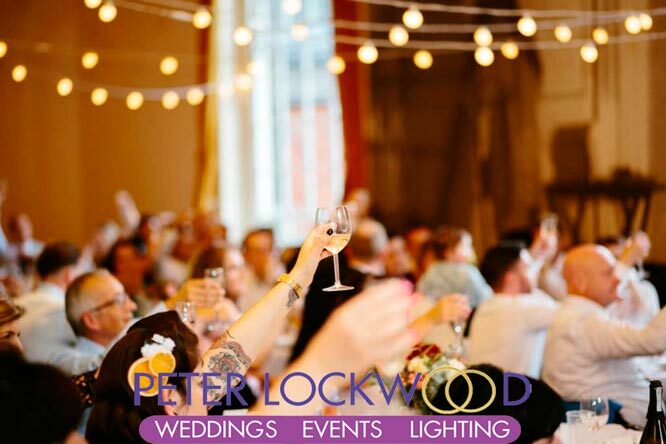 Black Cable Festoon Lighting The 15w lamps provide a lovely warm feel of a old fashion glass lamp perfect for a rustic wedding. 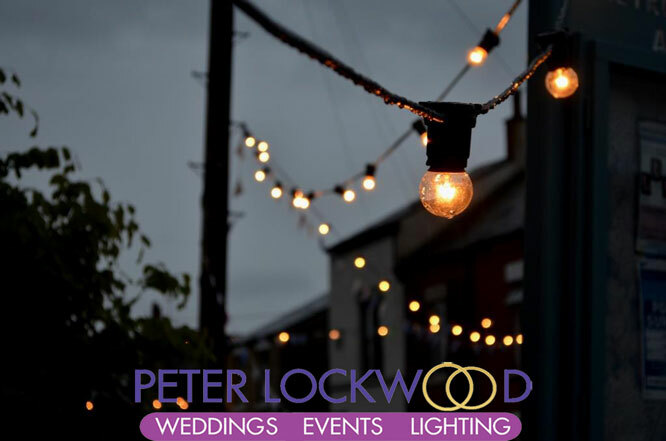 100 meters can be run on a single plug with a 1 meter lamp spacing If you use the 2w led lamps you can get around 300 meters from a single plug. 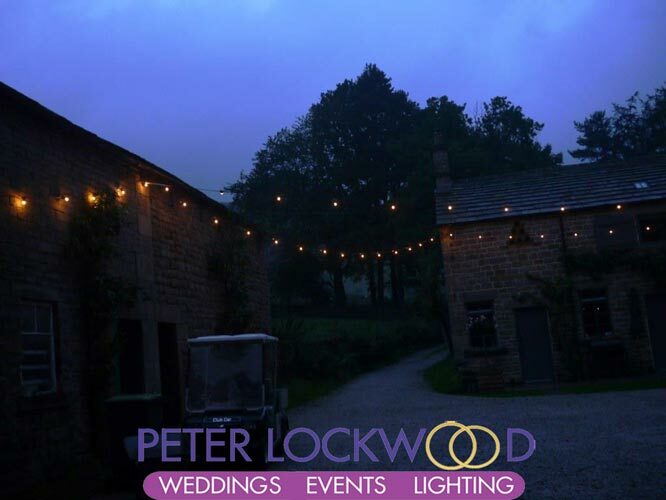 The two pictures below show the festoon string lighting with a 1 meter spacing at The Gathering in the Peak District.